CTE is quite the hot topic right now because of the number of high profile NFL players confirmed to have CTE (including Junior Seau) and the NFL finally recognizing the dangers of repeated concussions. It doesn’t hurt to have Will Smith releasing a new movie, “Concussion”, which is based on Dr. Omalu’s work. Robert has (or has had) every single one of those symptoms. I am convinced there is a link between CTE and epilepsy. I am no scientist. Heck, I couldn’t even take biology because I refused to dissect a frog. But I am pretty good at observation. And research. And taking notes. And being pretty darn persistent. I know what Robert was like as a child. His motor and verbal skills were perfectly normal. He had trouble in school but mainly because he missed quite a bit of it because of doctor appointments and medications and seizures and he also was diagnosed with ADD (probably ADHD, now that I think about it). Robert grew up on a variety of anti-seizure medications and did not wear a helmet until he was well into his twenties and continued to have uncontrolled seizures and falls. There were a lot of head injuries and concussions. He had numerous falls resulting in all kinds of injuries (including a near-drowning) and more head injuries than any of us could count. Robert’s head injuries alone could be the reason for the symptoms he now has. The depression and attempted suicide Robert experienced as a teenager could have been the result of medications or epilepsy. Or was it CTE? More than a year ago, Robert was hospitalized for a few weeks because he could not use his legs. At the time, he was using a walker and we had to make the switch to a wheelchair. He quickly lost the ability to even transfer from the wheelchair to the bed or to another seat. He was sleeping constantly. He was very, very sick and his neurologist thought he might have “cervical disk disease with myelopathy.” A CT scan showed he does have that but while in the hospital, the neurologist on rotation also diagnosed him with Parkinsonism. I asked about CTE and she agreed with me about seeing the symptoms. Let’s include epilepsy in the discussion about CTE. What if the falls and head injuries are not the only contributing factor to CTE? What if the uncontrolled seizures are causing CTE? What if the depression associated with epilepsy is actually because of CTE? What if epilepsy itself is a cause of CTE? When I broached the subject with Robert’s Neuro Nurse Practitioner, she thought these were great questions. The neurologist, probably playing devil’s advocate, asked something to the effect of what good it would do to know whether epilepsy can result in CTE. If there is a connection between epilepsy and CTE then the research can move in a whole new direction, possibly finding new medications and treatments for epilepsy. If there is a connection . . . helmet technology would have even more reason to improve! Let’s make more improved helmets to better protect those precious brains during a fall. If there is a connection . . . there is even more reason to strive for a cure. To reach 100% seizure control. 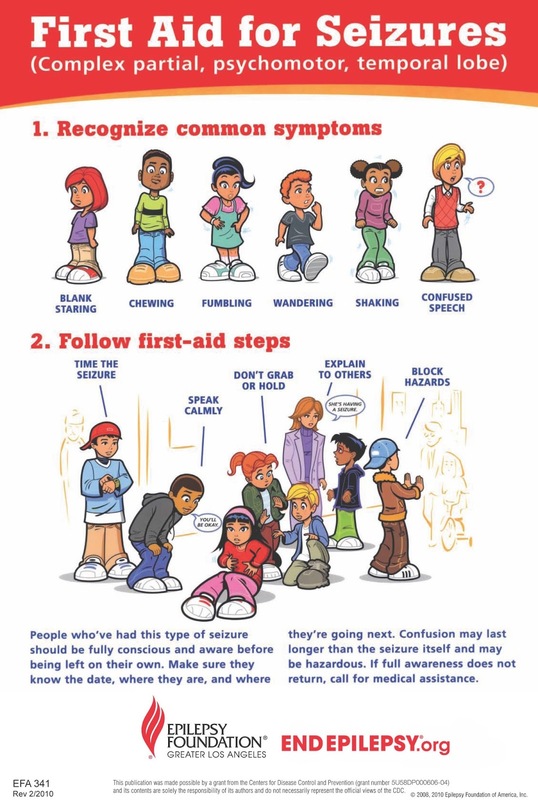 If uncontrolled seizures can take Robert from a lively, outgoing, mobile rascal of a kid to a depressed teenager to a 50 year old who cannot remember what he did earlier in the day, then it can happen to others with uncontrolled seizures too. If there is a connection . . . the availability of caregiver resources and respite will need to rise to the occasion. If we, as caregivers, are managing the health and well-being of a person with uncontrolled epilepsy and know that in the future there will be more and more care needed, then we have to be prepared. I would have loved to have known that Robert’s steep decline was just ahead as I began to care for him. Not because I would have refused to take on the job but because I would then know what I was in for and could plan for it. If there is a connection . . . the availability of social services will need to increase. Day Programs and social service agencies handling an increasingly needy population will be understaffed and underfunded if we do not recognize the decline in people with uncontrolled epilepsy. These agencies are already understaffed and underfunded but gathering data about the impending increased needs of consumers will allow these agencies to plan for it. 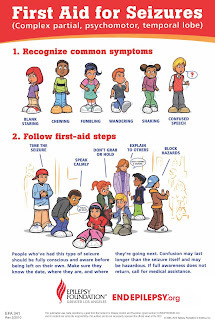 I am not trying to alarm anyone who has uncontrolled seizures or who is caring for someone with uncontrolled seizures. I understand no one wants to talk about the long-term effects of uncontrolled epilepsy. We want to be in the category of those with epilepsy living long, productive lives. The long-term effects can be scary as hell. However, just as many people don’t realize SUDEP is a very real risk from uncontrolled seizures, a possible link between epilepsy and CTE needs to be discussed and researched. Let’s at least include epilepsy in the discussion of CTE. Let’s do some research to see where this takes us. Let’s give families another reason to find a cure for epilepsy and to get the support and help they need in treating epilepsy. Let’s not be alarmed – let’s do something about it. A friend of hers had epilepsy and she wanted to spread awareness in support of her friend and even contacted a television station to ask if they would feature a story about epilepsy. What a terrific friend! This reader not only was there to support her friend with epilepsy but wanted to share information with the world in order to spread awareness and education about epilepsy. She didn’t have to spend extra time doing that but she did. Many people with epilepsy lose their friends or feel overwhelming isolation – even ridicule. I believe that is changing as more people start to understand epilepsy and advocate for themselves and their friends. The last I heard, the television station hadn’t responded to her but I greatly admire her efforts! It has been a few years since I posted the facts about epilepsy so think this is a perfect opportunity to do so again. I have double-checked and updated the facts (adding new ones and removing others) from my previous posts and am posting them all at once. Please feel free to share these facts in order to help spread epilepsy awareness. The more we talk about this disease, the more comfortable people will be hearing about it and the less isolated those with epilepsy will feel. Fact 5: Epilepsy affects more people than multiple sclerosis, cerebral palsy, muscular dystrophy, and Parkinson’s disease combined. Yes, COMBINED! (www.cureepilepsy.org). Fact 30: Inspiration and motivation to help sometimes comes from having a personal experience with epilepsy (and other conditions or diseases). Various organizations and resources are available and were formed after having a personal experience with epilepsy (many of whom are cited in this post): CURE: Citizens United for Research in Epilepsy ; Talk About It Organization; Epilepsy Foundation; International Bureau for Epilepsy; International League Against Epilepsy; Chelsea Hutchison Foundation. Help spread the facts! Whether you post on Facebook, tweet a fact or two (or all 30) or talk about them you are helping spread education and awareness about epilepsy. Our recent trip to the Epilepsy Awareness Day at Disneyland brought us face to face with many wonderful and inspiring advocates – all full of life, laughter, education and a passion for managing and curing epilepsy! Epilepsy Awareness Day at Disneyland not only is a way for families affected by epilepsy to connect with others while being at the Happiest Place on Earth, it is also an educational opportunity. EADDL was started three years ago by Brad Levy and his wife, Candy, along with the enthusiastic support of pediatric neurologist, Dr. Diane Stein. 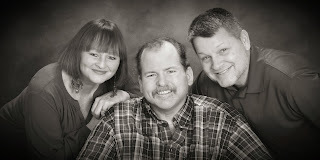 These three are tireless advocates not just for great epilepsy care but for a cure for epilepsy. While I did not have an opportunity to meet the Levy family (next year for sure! ), I did meet Dr. Stein as did Robert. They became fast friends and we promised to participate in the International Epilepsy Day which is February 8, 2016. Fact: There are approximately 65 million people world-wide living with epilepsy (Epilepsy.org). 65 million people affected by epilepsy – not even counting families, friends and caregivers! There were so many advocates at EADDL! Seeing Julie Hutchison, founder of the Chelsea Hutchison Foundation, is a delight for me (and obviously Robert). Julie’s foundation is a founding partner of the EADDL and has raised money to bring several families to the event each year. Also, through their advocacy, CHF recently gave their 84th grant for a seizure response dog! Julie’s story is one of resilience yet is heartbreaking. Julie and her husband, Doug’s beautiful daughter Chelsea died from SUDEP. They walk through that unfathomable grief to help others. Julie shared with me during one of our chats, “It is the reason I get up in the morning.” That kind of advocacy is an inspiration. Fact: Epilepsy is also a disease that can be deadly. According to CURE Epilepsy, “It is estimated that up to 50,000 deaths occur annually in the U.S. from status epilepticus (prolonged seizures), Sudden Unexpected Death in Epilepsy (SUDEP), and other seizure-related causes such as drowning and other accidents." 50,000! This number stuns me every time I read it. Another EADDL founding partner, the Danny Did Foundation, was at the Expo. CURE Epilepsy was there. The Purple Peace Foundation was there. Livy’s Hope, Sophie’s Journey, International League Against Epilepsy all were there. Families visited each booth soaking up the information so they can be the best advocate they can. Fact: While two-thirds of people with epilepsy are able to find good seizure control, the fact is one-third do not (Epilepsy.com). That is one-third too many! Many advocates and organizations were borne out of the loss of someone to epilepsy or have been affected by epilepsy in some way and are advocating for the cure or management of epilepsy. All an inspiration. All doing something to manage or cure epilepsy. The day in Disneyland did not have had exhibitor booths but there were probably a couple of thousand families enjoying the park in their EADDL purple shirts. Each one of them an advocate in their own way for their friend or loved one with epilepsy. Watch out, Epilepsy! You cannot win against this much advocacy. 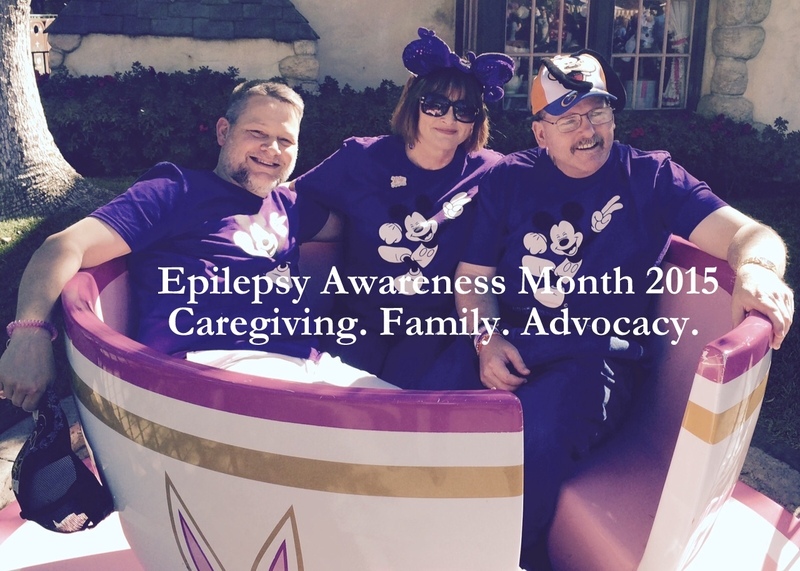 Epilepsy Awareness Month 2015: Caregiving. Family. Advocacy. It is hard to believe it has been seven years since I first started caring for Robert. In the fall of 2008, Robert had recurring infections and allowed a stranger to live in his house (a homeless woman he and his companion, Judy, met while picking up their prescriptions). By Thanksgiving, this woman had given Robert a black eye, Robert’s infections continued to recur and I realized he was eating expired food and living in less than clean conditions. Mere weeks later, Robert was living in a Skilled Nursing Facility near my home on a long-term course of antibiotics, the new “roommate” had been given money by Other Brother and strongly encouraged by both of us to find another place to live and I was faced with the reality that Robert could no longer live independently. It was a giant snowball of a mess, quickly gaining speed and intensity into full-time caregiving. I did not even realize what I was doing or that “this” was caregiving. And that I was now a caregiver. Robert’s decline from a lifetime of uncontrolled epilepsy, almost daily seizures, dozens of medications, surgeries, falls and infections have resulted in a fast and furious decline in cognition and mobility. Eventually, his decline was labeled as “CTEM” or “CTE,” Cumulative Traumatic Encephalopathy (brought into awareness recently by football players who have suffered from repetitive concussions). I started this website in 2009 thinking it would be used to update family and friends. I soon became passionate about spreading awareness about epilepsy and, frankly, was getting pretty darn irritated with the stigma it still carried. Not to mention the underfunding of research to find a cure! It did not take long for me to realize my focus of the website but, more importantly, a passion and purpose: Caregiving. Family. Advocacy. Caregiving. Hard work and requiring a lot of learning on the job flying by the seat of your pants. Caregivers help each other and are the hardest working people I know. It is hard work whether from daily tasks (many of them unpleasant) to fighting for quality care and resources. Family. Not always unicorns, puppies and rainbows. Well, rarely unicorns, puppies and rainbows but always, ALWAYS love. Being there for one another – not necessarily daily but when needed. Anyone in a family can attest to how messy relationships can be! And, yes, sometimes there are also unicorns, puppies and rainbows. Advocacy. Making change, educating, helping others when they cannot help themselves. Relentless pursuit of quality care, resources, answers and a life lived to the fullest (for both the caregiver and caree). For the past several years, I have participated in the efforts to raise awareness and spread education about epilepsy during Epilepsy Awareness Month. You can read a few samplings and recaps of past years here, here, here and here. I asked readers what they wanted to see this year and the response was: What is the impact of epilepsy on the caregivers? What is life like for Robert? Repeat the educational series for those who might have missed it. In other words, Caregiving. Family. Advocacy. Before we get into the education, the impact of caregiving and more about Robert, let’s start with a reminder of who Robert is (“Mr. Excellent” for those familiar with him). Robert describes everything as excellent at every opportunity. Whether he is in the ICU sick with pneumonia and sepsis or enjoying his Rocky Road ice cream, Robert has taught me and many others, The Magic of Excellent, (which helps when he is driving me crazy - because that is part of caregiving, too). Richard, Robert and I created this video earlier this year and I think it is the perfect way to kick off Epilepsy Awareness Month 2015. Wishing everyone a month of Excellent!